Ffull-carbon construction shaped around a lightweight foam core delivers incredible low weight and strength. High Tg resins and selected IM carbon fibres help us to trim the weight even further, shedding nearly 200g compared to the road version. 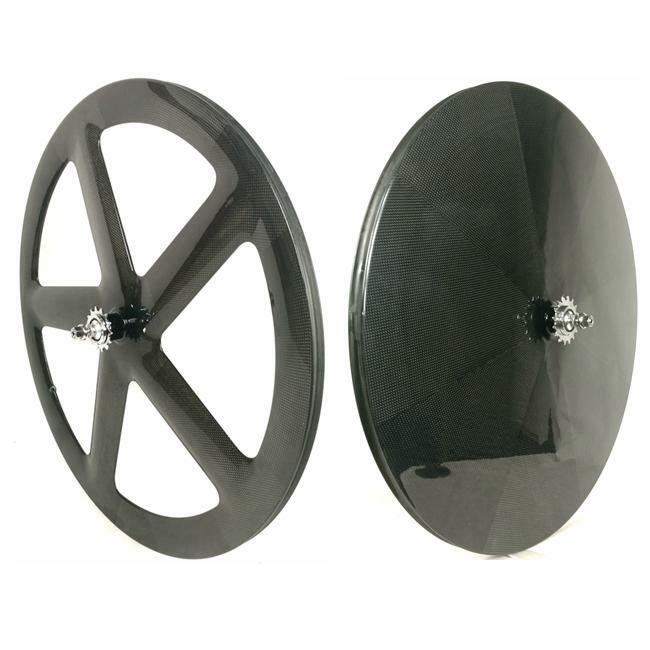 A bolt-up QR style axle is fitted with a retention tab that helps retain the wheel in your forks for a more secure fit. 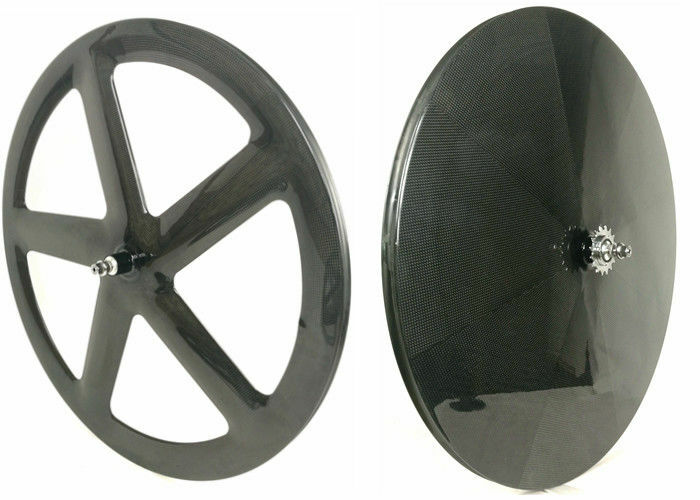 Riders looking to improve their PB's are always on the hunt for a competitive advantage and that's exactly what our new 5-spoke, full-carbon Aero Front Track Wheel provide. Created in the wind tunnel these wheels slice through the air with ease helping you to power away to victory. 5-spokes and a 55mm deep rim profile feel like a winning combination on the track- this wheel feels fast every time you ride it.